Robert Doggart charged in a failed plot to bomb a mosque and school in Muslim community in upstate New York. 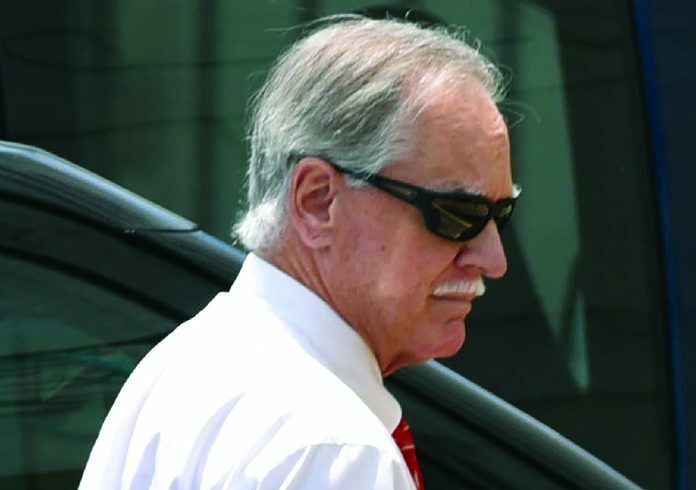 Former Congressional candidate Robert Doggart said he would like to use hand grenades in a planned militia raid against a Muslim community in New York, and he said he wished someone would kill President Barack Obama. The testimony came in the second day of the Federal Court trial in which the Signal Mountain man is charged with interstate communication of threats. With the lead FBI agent on the case testifying, a number of phone calls were played from the time the government had a wire tap on Doggart’s phone. Most of the calls involved a confidential source who was secretly working with the government, but was posing as one of the “gunners” ready to go on the raid at Islamburg, N.Y. He said each would take an oath to support the country. He said he had a Bible in his car for use in administering the oath. He said the nearby town of Hancock, N.Y. had only four police officers and a volunteer fire department. He said it would likely take 35 minutes for the firefighters to arrive. By that time, he said the raiders could leave in three different directions. He said they would lay low for a day or two, then return to their homes. Doggart said he would be safe in his home area, saying he was “tight” with the sheriff of Sequatchie County and its deputies. He said he “did not want to sound racist,” but he declared there was not a single minority living on Signal Mountain. Doggart made references to “killing people before” and to being in the military. The FBI agent said no record was found of him killing anyone or being in the armed forces. Another conversation was with Tom Lineaweaver, who ran for governor of Pennsylvania in 2014 and has considered running for national office. When Doggart laid out the raid plans to Lineaweaver he told him it was not a good idea. He said he should just let the Muslim group carrying out raids, then let people know that the government knew about the threat and did nothing. The FBI agent said federal authorities have found no credible threat at Islamburg and the FBI works cooperatively with the religious community there. In 2014, Doggart got over six percent of the vote, losing to incumbent Scott DesJarlais in the Fourth District. Doggart got 9,238 votes.